Grounding a cadet’s dynamic educational experience in Science, Technology, Engineering and Mathematics is more important now than ever before. Future leaders in a global economy MUST lead the world through their mastery and use of technology and science. Through grants and partnerships with corporate and educational organizations like NewDay USA, Georgetown University, Intellidyne Corporation and others, Fishburne Military School strives to provide Cadets with the finest equipment and instruction possible. At FMS we make STEM work for our students. Fishburne Military School’s dedication to a solid STEM education permeates the curriculum and classroom culture in a number of ways. Below are a few examples of how FMS is embracing STEM to ensure that our young men are equipped to succeed and lead in college and beyond. The FMS Team America Rocketry Challenge (TARC) Team operates in conjunction with the Virginia Aerospace Science and Technology Scholars (VASTS) program, a NASA-based science technology engineering and mathematics educational program for high school juniors in Virginia. 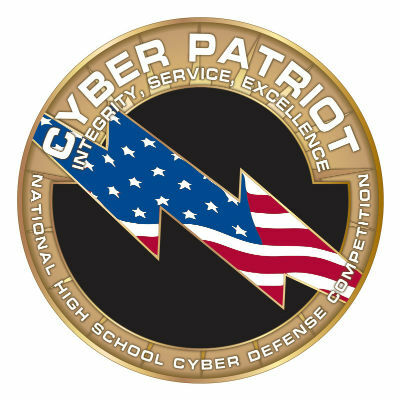 CyberPatriot competition was conceived by the Air Force Association (AFA) to inspire students toward careers in cybersecurity or other science, technology, engineering, and mathematics (STEM) disciplines critical to our nation’s future. The competition puts teams of high school and middle school students in the position of newly hired IT professionals tasked with managing the network of a small company. Cadets in Fishburne’s Mathematics courses are encouraged to “think outside the box” and envision the practical (and essential) applications of Algebra through a classroom partnership with Engineers Teaching Algebra. Engineers Teaching Algebra brings an engineer into your classroom to make algebra lively and real and to promote STEM education. It’s not a lecture or presentation but an engaging, hands-on experience with activities that are challenging, fun & relevant. Cadets interested in exploring careers in medicine or medical science benefit greatly from a unique opportunity at FMS through the National Academy of Future Physicians and Medical Scientists. The Academy was chartered as a nonpartisan, taxpaying institution to help identify, encourage and mentor students who wish to devote their lives to the service of humanity as physicians, medical scientists, technologists, engineers and mathematicians.